What are you looking forward to? Humanly, I love to work hard so I always look forward to vacation. I look forward to time at the beach, reading books, being with my wife and my three children, going out to dinner, laughing, making memories, slowing down, having longer quiet times, changing routine. I love it. As Daniel wraps up his amazing letter, God also gives Daniel, Israel and us today some things to look forward to–the good stuff. In the final verses of chapter 12, the Lord gives us some answers through some angels who ask the same kind of questions we do. They want to know what is coming. Even with all that has already been revealed in Daniel, there is still more to know, and in the closing chapter there are some truths to look forward to. 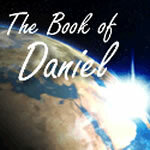 The book of Daniel began with the capture of Jerusalem and the beginning of the seventy-year exile. As the book ends, the exile is over and some of the Jews are beginning to return home. The first half of the book was mainly biographical and taught us that God is in complete control. The second half of the book is mainly prophetic, teaching that God has a future for Israel. God taught them about their future through four visions, each with an immediate prophetic description of a purging to take place soon, and each with a jump into the eschatological future, mainly to describe the ministry of their final purging through their last tormentor, the antichrist. Chapters 10 to 12 make up the final vision, and as Daniel records the vision and discussion God gives Israel, Daniel and us hope–hope of a future resurrection, hope of future reward, hope of future deliverance, hope of future judgment upon their oppressors, hope of a future Kingdom and hope of future redemption for a remnant who will be preserved through this future purging coming to the nation. Verse 4, “But as for you, Daniel, conceal these words and seal up the book until the end of time.” Look at the phrase, “conceal these words”–the Hebrew means to shut up the words, keep them close, referring to preservation; the word seal has to do with protecting and book has to do with this written material. The angel wants these Scriptures preserved for the end of time. This is startling–the angel has given Daniel the final words of this last revelation, covering Israel’s future history from their return all the way to the time of the antichrist. So now it is time for Daniel to roll up the scroll and close it—seal the book to make sure it is secure. Close it up so nothing is added or taken away and make certain it’s treated with respect so it endures all the way to the end, lasting all the way to the time of the antichrist and enduring through the time of the great tribulation, the last three-and-one-half years, the worst time on planet earth. Part of the reason this preacher and our church are passionate about the Bible being taught primarily through books of the Bible–skipping nothing and dealing with everything, even when it’s difficult is because we view the Scriptures as the very words of God Himself, as if Jesus were standing here physically and talking to us. The Scripture means one thing to one people at one point in history. Through intense study we seek to discover the author’s intended meaning, believing there is only one correct interpretation to every single passage in the Bible. Then desiring to glorify God by becoming more like Christ, by the power of the Spirit, through dependent obedience we seek to not be hearers of the Word only, but doers of the Word daily. We respect the Word of God and call you as God’s true children to respect the Word of God as well–read it, study it, memorize it, be guided by it, submit to it, meditate upon it, take comfort in it, commune with Christ through it, talk about it and most importantly live it–are you? God is calling Daniel to protect the Word, respect it, set it apart, make sure it is preserved–why? Verse 4 again, “But as for you, Daniel, conceal these words and seal up the book until the end of time; many will go back and forth, and knowledge will increase.” To conceal and seal up this book is not to keep this vision and the book of Daniel from us today, but to make sure it is safely preserved for those who come later. Picture yourself in the tribulation experiencing the horrible persecution of the antichrist described in Daniel 11. You’re going to be running back and forth searching for an answer. You will ask, “What is going on?” The talking heads on TV will not have the answer, or will the internet, or the newspaper, and yes friends, neither will conservative talk radio–they won’t know. You will want to find an explanation for the unfolding events, and the Jewish people will engage in a painstaking pursuit of truth (run to and fro)–and here is the startling news when they finally open the book of Daniel, the end of verse 4 says their knowledge will increase. Daniel was to preserve his book so that people of all time, from his day until the end, could have knowledge of the events it foretells. But the book of Daniel will have its greatest effect upon the Jews in the tribulation. It has been preserved for 2,500 years, been a blessing to all true believers for all those years, but the book of Daniel will literally be a fire hose in the midst of a burning house to the Jews of the last three-and-one-half years of the tribulation–the great tribulation. The Jews and Gentiles in the tribulation will run about seeking answers to questions about the climactic events of their times, and they will find those answers through increased knowledge of the Book of Daniel. In fact verse 3 tells us many will be led to righteousness. The Lord will use Daniel himself to turn many to Christ alone–even millennia after his death because he is the human author of the book that provides God’s answers about the tribulation. I want that kind of impact for Christ–I do, more than life. I know I am not going to be involved in writing any Scripture, so by God’s grace I have been and will continue to give my life to preaching His Word which endures forever, and to training men who will impact others for Christ. He created me to lead, preach and train, so I’m giving my life to fulfill my created purpose. I don’t want it for my glory, but for Christ’s glory. You and I are not in the tribulation–but just like that future time, God says whatever tribulation you’re currently going through that He intends for you to find answers to what He is doing in the Bible. The Bible alone is God’s Word, it is what God would say to you if He were physically present this morning. It is living, alive, active and points to Jesus Christ alone as the way you can be right with God. Verse 4 does point to a future for Israel as a people. But verse 4 also clearly makes a passionate statement of God’s love for His children–think about it, God has Daniel record this Scripture for His children who will repent in the future, even a future to us–talk about a Father’s loving care for His children. Fathers, to be like Christ you will care for your children’s future. That is not making sure they go to an Ivy league school, nor that they get some sort of sports scholarship–how off-center can you be? It is not whether you home school, public school or private school them. If you are to learn from your heavenly Father, then your greatest concern is your children’s salvation. And your part in that is to saturate them with the Scripture and model it in everyday life, talk and walk. Your second great concern is their future spouse and your part in that is to love your wife with such a passion and devotion to Christ that they see how being one glorifies God and is a powerful witness. Your third concern is to make certain they are mentored and cared for in your absence, which means they see you modeling a healthy Biblical commitment to a local church, and that you have thought through meeting your family’s needs in case of your absence. In verse 4, our heavenly Father is caring for his children in advance, centuries in advance. How are you doing, dads? Are you like God as a Father? But Chris, I still have questions about what is going to happen in the end times. Friends, so did Daniel–even some angels, which is why we have . . .
As Daniel reflects on the vision he has questions–doesn’t that encourage you? And what is really interesting to me is some angels had the same questions. Verses 5 and 6 say, “Then I, Daniel, looked and behold, two others were standing, one on this bank of the river, and the other on that bank of the river. 6 And one said to the man dressed in linen, who was above the waters of the river, ‘How long will it be until the end of these wonders?” Chapter 10 tells us Daniel is by the Tigris River, and there he sees three figures, two on the shore and one floating over the River speaking to him. Since Daniel has been dialoguing with angels throughout this vision, we can safely assume these two new characters were angels as well. And these two were just as curious as Daniel about future events. Apparently angels don’t know all the details about the end times either. That is not surprising since Christ said no person or angel knows when the events preceding His coming will occur but only the Father. Now I hope you see something unique about the man in fine linen. First he’s floating above the waters of the river, which indicates this being possessed power and authority over nature, not usual for angels. Plus he’s higher than the other two, who are in a subordinate position by the edge of the river. Second he’s the one to whom the angel asks a question. Third he’s clothed in fine linen which is the garment of the priesthood and is the same dress of the pre-incarnate appearance of Christ, which occurred at the beginning of the vision in chapter 10:4 to 6. All of which leads us to conclude this is our Lord Jesus Christ appearing to and speaking to Daniel. The angel asks the Lord at the end of verse 6, “How long will it be until the end of these wonders?” He wanted to know about the wonders connected to the reign of the antichrist. His question was not concerned with the entire history from Daniel’s day until the antichrist, but he wanted to know when the antichrist would be permitted to bring oppressive measures against Israel, and how long that oppression was going to last? This angel wanted to know the length of the disciplinary period Israel would experience during the great tribulation. I wonder why an angel would ask that question. Could it be that they were tired of fighting demons and longed for the battle to be over? Talk about a long war, easily 5- 6,000 years in constant conflict. You think you’re tired of spiritual warfare! Yet they already know the answer, since it is given in Chapters 7 and 9–so like us, it is probably that they want to hear it again, or be reinforced, or reinforce Daniel or future readers about God’s plan. How long will it be, Jesus? Verse 7, “For a time, times, and half a time”–it means the antichrist’s reign of terror will last three and a half years. Remember Daniel 7:25, “And they will be given into his hand for a time, times, and half a time.” Recall Daniel 9:27, “And he will make a firm covenant with the many for one week, but in the middle of the week he will put a stop to sacrifice and grain offering.” Revelation 11:2, “They will tread under foot the holy city for forty-two months,” and 12:14, “for a time and times and half a time, from the presence of the serpent.” And finally 13:5, “There was given to him a mouth speaking arrogant words and blasphemies; and authority to act for forty-two months was given to him.” Jesus says the great tribulation/persecution will last three-and-one-half years. Back to Daniel 12:7, “And as soon as they finish shattering the power of the holy people, all these events will be completed.” The tribulation is designed by God to devastate– to shatter (dash to pieces) Israel, a nation set apart to God. When the antichrist comes, the people of Israel will place their trust in this evil leader and sign an allegiance to him for seven years. But in the middle of that period (at three-and-one-half years) the antichrist will set himself up as God, Israel will reject him but he will persecute them in a way that makes what Hitler did look like child’s play. There is nowhere to flee except into the loving arms of Christ. So after three-and-one-half years of relentless persecution, the remnant will accept Christ as their Savior and Lord. Notice the end of verse 7, after being crushed by the antichrist and turning to Christ they will be in truth holy people–why? Because they will see their sin so deeply and their destruction will be so devastating that they will be at an end of themselves and of reliance upon anyone or anything except Christ Himself. So they will trade their sinfulness for His righteousness, their ugliness for His beauty, their unworthiness for His worthiness, and (verse 7) be made holy, justified by the work of Christ on the cross for their sins. And as wondrous as this is, Daniel is still confused so he asks a . . .
Verse 8, “As for me, I heard but could not understand; so I said, ‘My lord, what will be the outcome of these events?’” Remember, Daniel did not have the benefit of history we’ve seen, nor all the revelation we have in the Word of God concerning these events. And Daniel is also almost 90, which is not a criticism of the elderly, just a fact. So the tense of the Hebrew in verse 8 says he is currently working at it, but Daniel is still struggling to understand what is being said thus far. The angels ask about the time and length of the persecution, but Daniel in verse 8 is more concerned about the kind of persecution. He wanted to know how severely his people would suffer before turning to their Messiah? Verse 9, “And he said, ‘Go your way, Daniel, for these words are concealed and sealed up until the end time.’” Ouch–this is a mild rebuke from the Lord to Daniel, but it is also a word of comfort. The Lord is saying to Daniel, “You don’t need to worry Daniel because your God is in control.” Almost a repeat of verse 4, these events are far in the future for you Daniel. And this revelation will be preserved for God’s remnant of Israel in the future, and become a light to point them to their Messiah. So the Lord is telling Daniel in verse 9 to be content with what God had revealed, and to stay away from useless speculation. This serves as a warning to all of us in the study of eschatology–be careful not to go beyond the text. Be willing to say, “I don’t know.” But then on the other hand, the Lord summarizes . . .
God is going to do some astonishingly great work–what will it be? During the worst time planet earth will witness, in the midst of the worst persecution Israel will ever experience, God will redeem the nation of Israel. Truly the tribulation will be the worst of times and the best of times–the wickedest time in all of history but the greatest revival in history. When left with nothing but evil, it will not be difficult for people to recognize their own sinfulness. And it’s true that during the most evil times, the light of the Gospel shines the brightest, and holiness in our lives becomes the most pure. But that will not be true for all, for the end of verse 10 says . . . Most people during the tribulation will continue in their gross evil–they will shake their fist in defiance of God and openly express their hatred of Him—why? They want to continue living sinfully and independently. But in the midst of the furnace of affliction, others will demonstrate God’s character within them and be purified like gold. The human mind cannot perceive God’s truth apart from enlightenment by the Holy Spirit. As Ephesians 2:1 affirms, “We were dead in our sins.” We are not Wesley of the Princess Bride who was mostly dead, or partially alive. We are dead and the dead can’t respond, can’t choose, can’t accept unless God awakens us to our need of Him. So at the end of Daniel 12:10, “but those who have insight will understand.” The 144,000 Jewish evangelists will proclaim the Gospel to all and those whom God has chosen will see the truth and respond to it. Just like Acts 13:48, “and as many as had been appointed to eternal life believed.” And what else is going to happen to these chosen? Verse 11 says, “And from the time that the regular sacrifice is abolished, and the abomination of desolation is set up, there will be 1,290 days.” The antichrist makes a seven-year treaty with Israel, allowing the Jewish people to worship in their temple. In the middle of that period the antichrist will put an end to their worship when he desecrates the temple and commands the world to worship himself as God. That begins the fiery judgment of the great tribulation–the last three-and-one-half years. But now in verses 11 and 12 we are given a different timetable. Instead of three-and-one-half years, or 1260 days referred to in Revelation 11and 12, the Lord gives us 1290 days. So why is there an extra month or an extra thirty days? Since context is always the interpretive key, most commentators assert since the Lord just told Daniel about the purification of His people in verse 10 that this extra thirty days after the tribulation and after Christ’s return will be for the judgment of the nations, or the sheep goat judgment Jesus describes in Matthew 25: 31 and 32, “But when the Son of Man comes in His glory and all the angels with Him, then He will sit on His glorious throne. 32 And all the nations will be gathered before Him; and He will separate them from one another, as the shepherd separates the sheep from the goats.” The Lord will use those thirty days to determine who has the right to enter the thousand-year earthly Kingdom and receive its blessings. It could also refer to the clean-up process after the battles of the tribulation. Okay, but what about verse 12, “How blessed is he who keeps waiting and attains to the 1,335 days.” After the judgment of the nations, an additional forty-five days will be needed to fully establish the thousand year Kingdom. Think about it–if a person endured the tribulation and was a part of the remnant of sheep at Christ’s right hand at His return, then the Lord will reward and direct him as His child now in God’s Kingdom on earth. So what happens during this time? Notice verse 12 speaks of “the blessing of happiness” of those who enter Christ’s Kingdom. What is so great about His Kingdom? Not only will the remnant who survive the tribulation enter into Christ’s earthly Kingdom, but also all the saints who returned with Christ at His second coming in our glorified bodies will reign with Christ. Think about how happy this Kingdom will be–blessed means happy. The Bible declares Christ will be ruling, Satan will be captive, the saints of the Old Testament and New Testament will have authority, truth will dominate, righteousness will flourish, peace will reign, joy will abound, justice will pervade, the Holy Spirit’s power will be revealed in its fullness, there will be a new temple, the earth will be purged, the curse will be lifted, there will be plenty of food, good health and healing will be abundant, the city of Jerusalem will be exalted and more—WOW, now that’s something to look forward to. Why do we believe in a literal earthly thousand-year Kingdom someday? If you change your interpretive system, then you can spiritualize the Kingdom. Rewards, judgments, progressive revelation, etc. are all affected–but what about Daniel? Read verse 13, “But as for you, go your way to the end; then you will enter into rest and rise again for your allotted portion at the end of the age.” Here is Daniel’s promise and the last verse of this letter. Daniel is almost ninety-years-old, he has lived almost his entire life in a pagan land, yet he was devout, uncompromising, godly, loyal, humble, courageous, prayerful, zealous and compassionate. He had been given thorough revelations about future Gentile kingdoms, Israel’s destiny, and the frightful reign of the antichrist during the great tribulation. Daniel knew that his beloved people would suffer terribly, so in this last vision God comforted Daniel through the presence of the pre-incarnate Christ and the promise of future Kingdom happiness. And His final word to Daniel is verse 13, “go your way to the end,” telling Daniel to remain faithful to God’s Word and God’s will. Friends, there is nothing more important to say than “be faithful.” Faithfulness is crucial to your character, your parenting, your ministry and your eternal reward. From age eighteen to this day, I am still on a hunt for F-aithful, A-vailable and T-eachable Christians, FAT Christians. If you are a young believer and want to make an impact for Christ, be faithful. If you are an old Christian and want to end well, be faithful. Let your yes be yes, show up to your commitments like it is a job, give it your all and be the one who can be depended on. Then God says in verse 13, “then you will enter into rest and rise again.” God says to ninety-year-old Daniel be faithful until your death. And although Daniel’s body is now dust it will rise again in bodily resurrection with a perfect body and perfect spirit, full of joy and love, and in perfect communion with Christ. And so will you, if you’re in Christ. And God’s final words of verse 13 are for your allotted portion at the end of the age. The Hebrew word allotted refers to inheritance–Daniel will be rewarded. And we are co-heirs with Christ. We receive what He receives. Friends, it’s not about get all you can and can all you get, sit on the can and spoil the rest. He who dies with the most toys doesn’t win. It’s all about being faithful now and incredible happiness and eternal life with Christ–and that is something to look forward to.